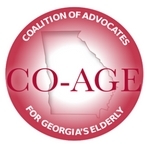 The voting period for CO-AGE members to cast their choices for our 2017 CO-AGE priorities will end on July 31st. We will be announcing the winners in our August 1st Senior Issues Newsletter! Thank you to all our engaged advocates who have voted for what they think are the most pressing issues for seniors in our state.